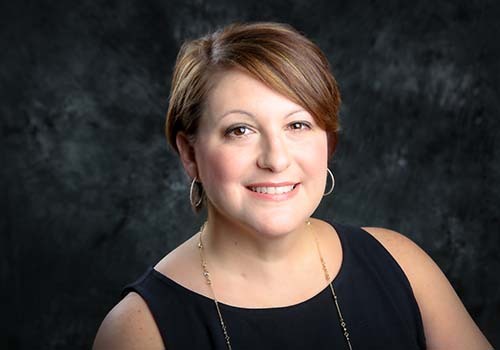 In her role as Director of Brand Partnerships and Market Research for Barnes & Noble College Director, Marie Policastro brings together leading brands with the needs of the campus community. We take five minutes to learn why brands are fixated on back to school, the importance of internships and what’s in her closet. How would you characterize your role at Barnes & Noble College? It’s about creating a strategic partnership with brands looking to access our audience — primarily college students, but sometimes parents or alumni — who are difficult to reach in a targeted way. 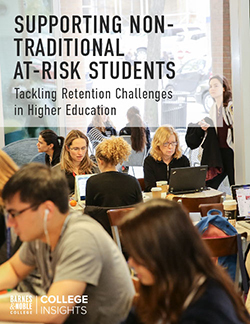 Instead of having to create a dialogue with 460 plus colleges and universities, we coordinate it all, and we’re the only ones who can do that. I worked for a small event company, marketing outdoor music festivals for major sponsors. I was offered the job after interning there and got to work with everyone from The Beach Boys to Blues Travelers to Hootie and the Blowfish. What qualities do you think a brand needs to attract Millennials? It has to be relevant. It has to have that cool factor, and it has to fulfill a need such as making their life or their academic journey easier. These are all win-win qualities for the brands we work with. What do you think is the biggest misconception brands have about the collegiate audience? I think it’s a preoccupation with back to school. The great thing about Barnes & Noble College is that we have that dialogue, that relevance and that relationship with our students year round. We can offer brands greater access to potential customers throughout the year. You’d definitely see me in apparel! I have to buy something whenever I’m in a store and I have a closet full of college apparel. I love the styles and great fabrics. Biggest challenge in higher education today? Increasingly, I think it’s become very important for students to have work experience. It’s harder to get a job based solely on the courses they’ve taken. A great trend I’m seeing now is universities requiring internships, with credit, to graduate. I really hope more schools adopt that approach in the future. Millennial students who graduate with an internship in their field of study will have a giant leg up on those who do not. What would you be doing it you weren’t doing this? I think I’d probably be in fashion. I’m not a great designer, but maybe a buyer or a fashion stylist. What’s the most prevalent characteristic you’ve noticed in Barnes & Noble College employees? Respect. I think we take care of each other and respect each other at Barnes & Noble College — and that flows over to our customers as well. You have to respect your customers and treat them well — and that builds a lot of trust and loyalty. What’s your best day at Barnes & Noble College? Our Annual Meeting. It’s always the best day. You feel you’ve got a thousand friends in one room, and that’s such a gratifying feeling. What’s one lesson you’ve learned at Barnes & Noble College? I began my career as a coordinator, so I’ve learned leadership and how to manage a team and a department, but perhaps the most valuable lesson I’ve learned is from the mentorship I’ve received from my boss. She taught me how to be a strong, confident and successful leader in business.